To get your body to this level of conditioning, you’ll need someone who has travelled the path, and is able to breakdown each step you’ll need to move forwards and see real results. physique and point out weak points to focus on with a specific training routine, and proper guidance with your nutrition planning. 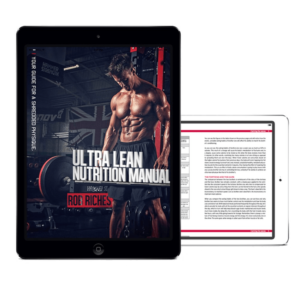 You’ll receive a complete 12-week program that has personally been developed by Rob Riches. Step 1: After your order has been processed you will receive a link to an online Health Screening Form. Complete it and submit. Step 2: After completing the questionnaire and sending it back with photos (optional), you will be emailed a detailed training program.